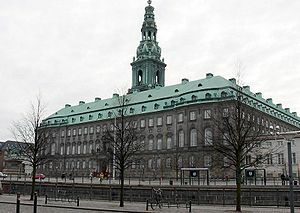 Yesterday I participated in an information meeting at the Danish Ministry for Business and Growth related to an initiative around using open government data within business intelligence in the private sector. Using open government data is already an essential part of the instant Data Quality concept I’m working with right now and I have earlier written about the state of open government data in Denmark in the posts Government Says So and Making Data Quality Gangnam Style. The answer was, that it isn’t exactly big data mainly because the data are well structured and thereby looks more as the traditional data sources that we have been used to working with for many years. Personally I, if we have to use the big word, like to see these data as big reference data as told in the post Four Flavors of Big Reference Data. The answer here was a hope about that the fact that these data was made open for the private sector will create some data quality feedback resulting in that the public sector would improve quality of the data to the benefit of both public sector and private sector data consumers.